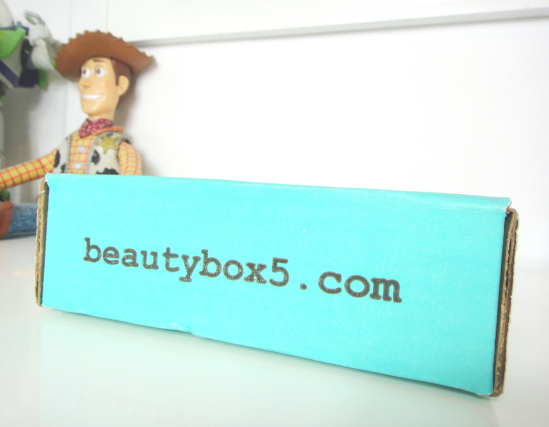 December box features NYX, Body Drench, Ofra Cosmetics, Clean & Clear and Every Beauty. 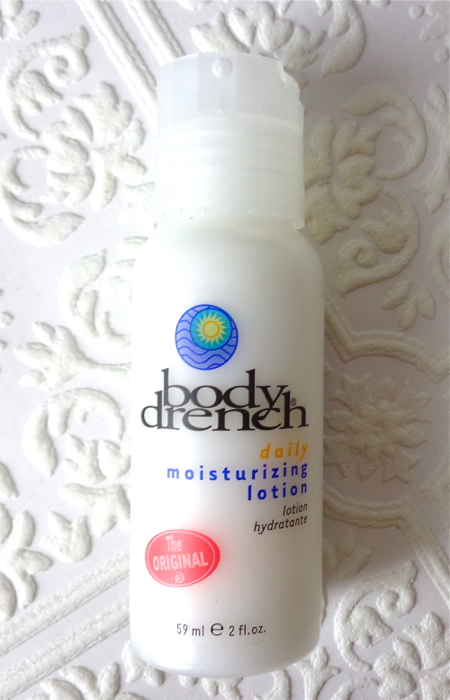 It feels very moisturizing and has a nice thick consistency that is not greasy at all. I am not so crazy about the powdery scent, though. 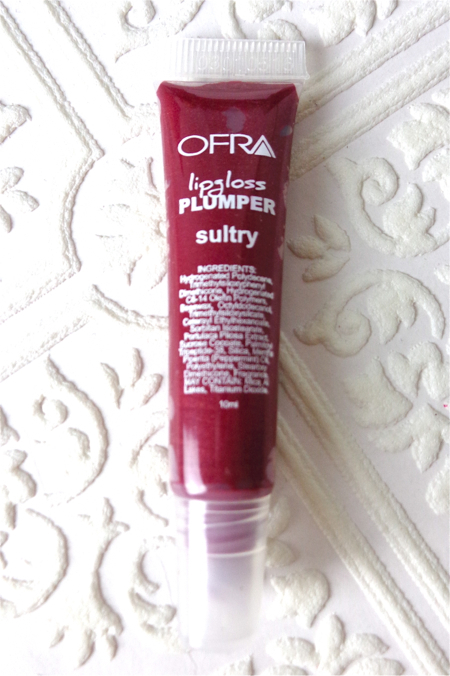 This is a lip-plumping lipgloss with tingly sensation. 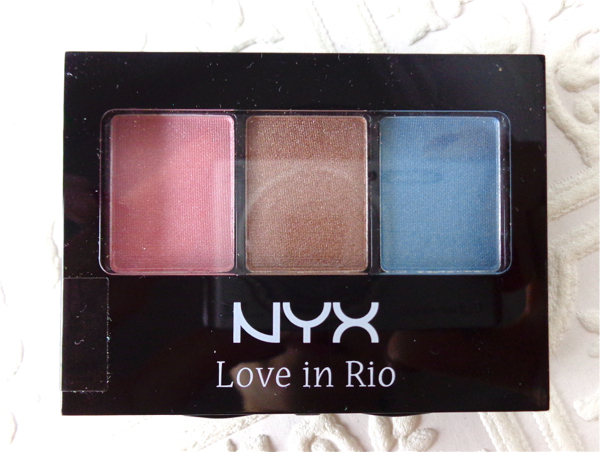 It is very pigmented and has no typical minty scent, which is great. 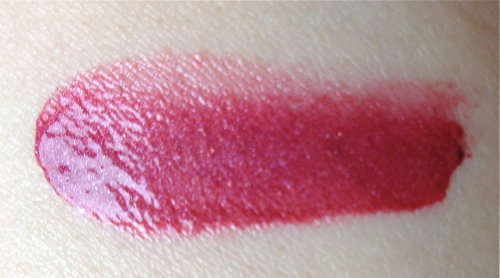 Sultry is a saturated berry with shimmer. I am too old for Clean & Clear products generally speaking, but this would be nice use after detox facial mask. I will give it a try. I was happily surprised by this! I have used this before and loved it. This works far better than any pumice stone thanks to the flexibility. 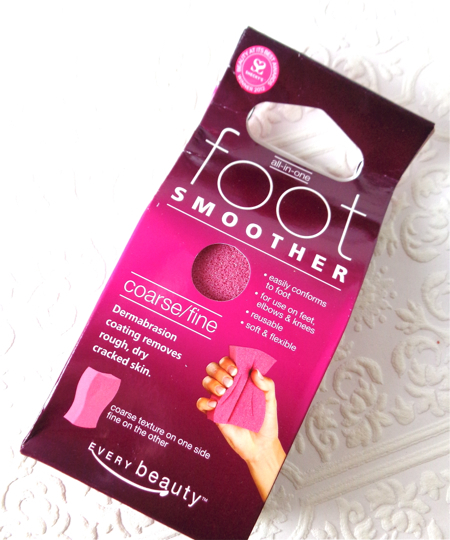 You wouldn't need to ask for callous treatment in your pedicure if you use this regularly in shower. December box seems satisfactory to me containing some favorites and nice surprises. 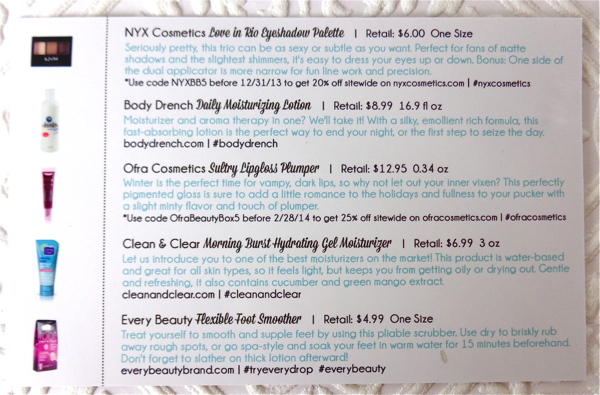 This post contains press samples provided for editorial consideration.